A partnership between Racines and the Friends of Uxellodunum was agreed at the beginning of the year. 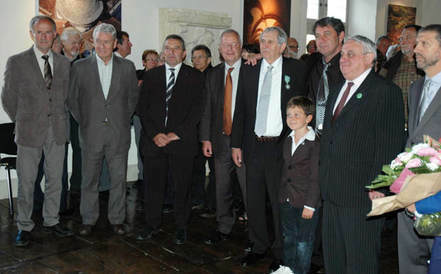 This convention creates the real conditions for constructive participation in the development of the site of Loulié and places the associative and archaeological network within the Orientation Committee whose task it will be to define the conditions of this development as soon as possible, something we have been demanding or a long time. This initiative will contribute to enhancing our local heritage. It is in this logic that our association is helping to prepare an exhibition on Uxellodunum that should see the light of day in 2016, an exhibition for which the Friends of Uxellodunum bring their help and support alongside Jean-Pierre Girault. 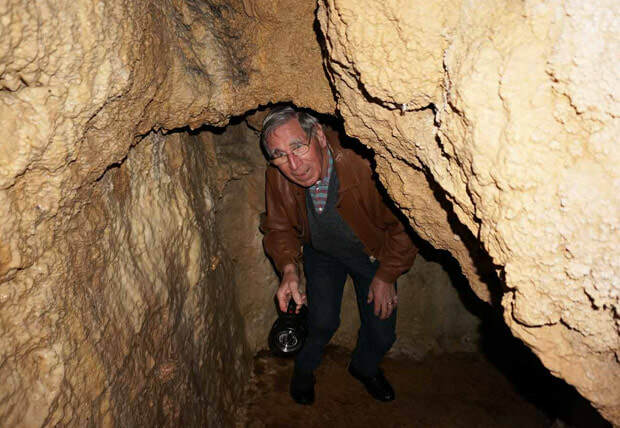 Finally, under the impetus of the associative network, a Scientific Committee was created under the authority of Vincent Guichard, Director of the European archaeological centre of Mont Beuvray. This committee met in February to review the situation, the state of the site and the present and future constraints. In addition, the migration of S.M.G.S.U to Cauvaldor in 2016 should contribute to creating the conditions for sound and sustainable management. Our small association has also maintained a correspondence with an Italian association in the city of Cesena, a city of about 100,000 inhabitants who would like a rapprochement with the site of Uxellodunum, this reminds us of the scientific and cultural wealth of our website fuelled by the incessant work of Jean-Pierre Girault and the interest that is focused on this episode of the Gallic Wars, even outside our borders. Two new books by Jean-Pierre Girault were published in 2015. The first book concerns medieval constructions in the Dordogne valley in the north of the department of Lot and an inventory of perched habitats, refuges, troglodytic haunts, watchtowers and various cliff-top constructions with, in particular, at Saint-Denis-les-Martel, the lair and mill of Briance, the den of Roqueblanque better known for the cave paintings, the mott and bailey of Grand Bois, caves and shelters at Balme, Courtils, Balmissou and Traucou, the cave of Cabrejou, and the lair of Roquepen, just to name a few that have been known of in Saint-Denis-lès-Martel over time. All these places testify to the rich heritage of the area during the troubled period of the Middle Ages and more particularly the Hundred Years War. 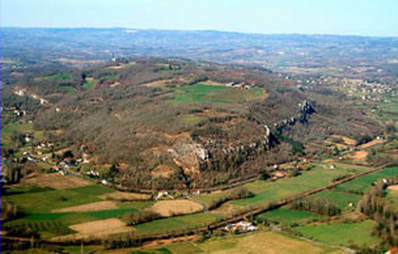 The second book concerns the Gallic and Gallo-Roman habitat in the Dordogne valley. Here again Jean-Pierre Girault makes a complete inventory of the traces, finds and various discoveries touching on the Gallo-Roman period while raising awareness of the the richness and fragility of such a heritage. Regarding Saint-Denis-lès-Martel, besides the Loulié spring and Uxellodunum that everyone is aware of, we can mention the Pont de la Font, Coste, Verrie, Pontou, Malbouyssou, Parriche, Termes, Pont Roux and Pech Laguille - all places with the sometimes tenuous traces of an ancient occupation. These two books are on sale in local bookstores and from the association. 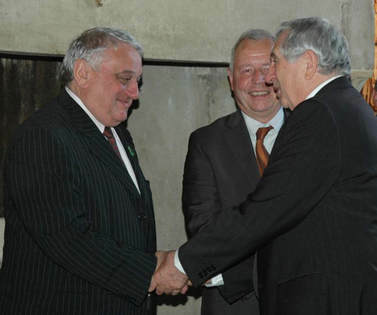 Held under the chairmanship of Roger Mialet, in the presence of Dominique Lascaux, President of the S.M.G.S.U. In his report, the President underlined the substantive work done in 2013 to reconnect with the elected officials of the territory for a confident dialogue. This was largely possible thanks to the foresight of Mr. Louis Crémèse and with the support of the archeology network. The Uxellodunum website also contains a considerable amount of information including all the documentation produced by Jean-Pierre Girault in the course of his research and archeological excavations on the site plus much historical information. The website, developed by Suzy Ireland, is a first-rate repository of information that will promote future research into the development of Uxellodunum in the territory. On February 12th and March 12th, important meetings with the S.M.G.S.U. made it possible to set up a programme of initiatives to quickly relaunch the mission of Vincent Guichard within the framework of a new governance of the S.M.G.S.U. favoring the establishment of an indispensable Scientific Committee. The activity report, presented by Caroline Mey-Fau, took up these various points by specifying the need to develop a slide show on Uxellodunum to make the site better known, both in terms of tourism, education and science, with emphasis on the works of Jean-Pierre Girault. The opening of the site to the public is the sole responsibility of the S.M.G.S.U. (for this reason the organisation of Open Days in September 2013 were cancelled). The action plan approved on 12 February 2014 in Martel sets out a working method. The Regional Conservator of the DRAC has, for the State, validated the seriousness of the work carried out under the presidency of Louis Crémèse and encouraged the new leaders to implement the plan. 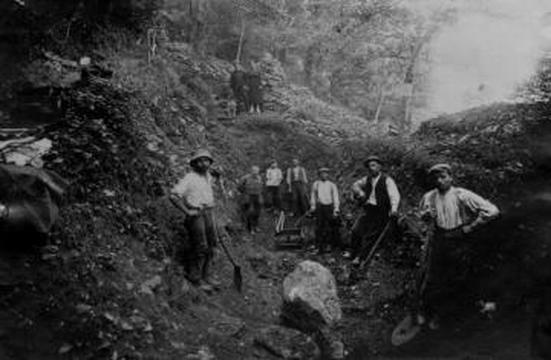 A meeting took place on the site of the Loulié spring between the S.M.G.S.U., the archaeologist Jean-Pierre Girault, representatives of the Drac and the Association, in order to take stock of the condition of the areas of the site where works are required to be carried out and to identify the actions required. 2013 was a pivotal year despite some turbulence and wasted effort in 2012. 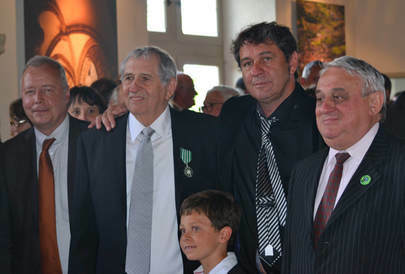 The ceremony of the 17th May united the Amis d'Uxellodunum to celebrate the award to Jean-Pierre Girault of the distinction Chevalier des Arts et des Lettres at the Château des Doyens at Carennac. 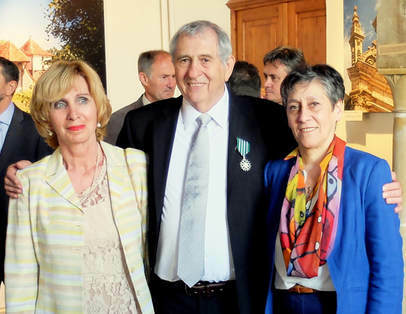 The event was also attended by representatives from the DRAC, Mont Beuvray and the associations Racines, Société des Etudes du Lot, and Amis du Pays de St Céré. 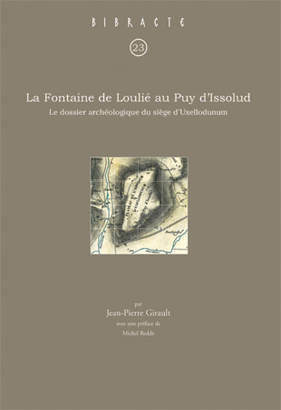 2013 ended with the publication in the Bibracte collection (European Archaeological Centre) of the archaeological record of Uxellodunum at Puy d'Issolud by Jean-Pierre Girault. This book is a landmark to confirm the importance of archeology in the identification of this battle of Uxellodunum, "one of the last episodes of the Gallic Wars" as Michel Reddé said in a brilliant preface. This publication succeeds Jean-Pierre Girault's other book published in 2013 with the assistance of the General Council of Lot, the Association and Editions Racines and which deals with the prehistoric occupation of Puy d'Issolud, of the Dordogne valley and its tributaries in the north of the Lot department. 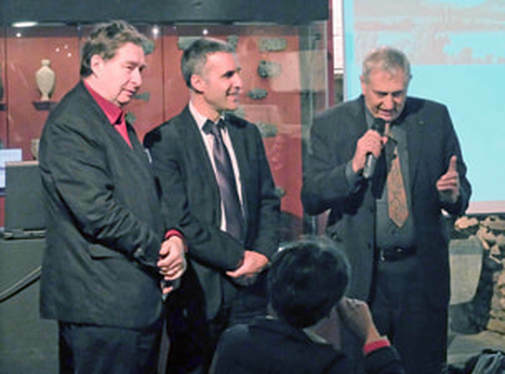 Jean-Pierre Girault, research director and author, and Vincent Guichard, publisher, presented the book "The Fountain of Loulié Puy-d'Issolud : The archaeological record of Uxellodunum" in the presence of Laurent Roturier, Director Regional Cultural Affairs and Michel Vaginay, Regional Curator of Archeology. The presentation was followed by a lecture on the archeology of the Gallic Wars by Michel Reddé, a specialist in Roman armies and director of studies at the Ecole Pratique des Hautes Etudes. 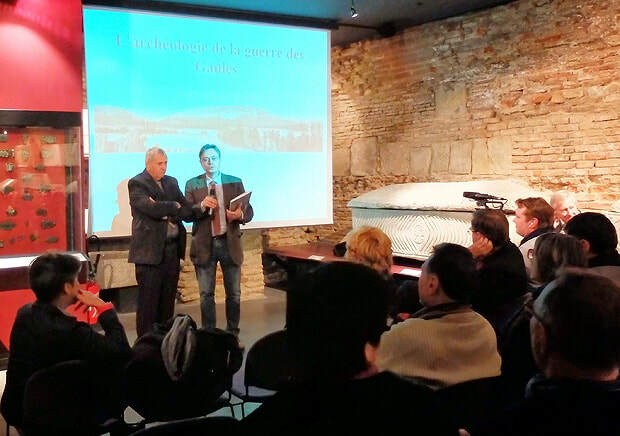 The archaeologist Jean-Pierre Girault presented his book in the presence of Vincent Guichard, Director General of EPCC Bibracte, publisher of the work. Much awaited by the scientific community, this publication takes complete stock of the knowledge gathered on this archaeological site, intimately linked to the Gallic Wars, that of Puy-d'Issolud located in the north of Lot, in the communes of Vayrac and Saint-Denis-lès-Martel. Indeed, according to the Cesarean text, Uxellodunum was the site of the last battle of the Gallic Wars between Gallic troops led by Luctérios, aristocrat cadurque, and Drappes, Senon, and legions of Julius Caesar. Aulus Hirtius, lieutenant of Caesar, tells us about the conduct of the siege and the defeat of the Gauls during the summer of 51 BC after a few weeks of fierce fighting. 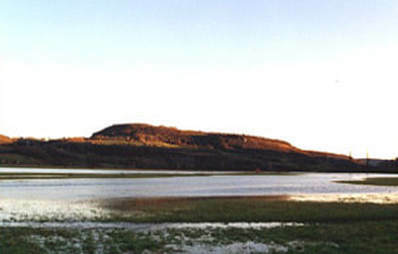 The identification of the site of Puy-d'Issolud as ancient Uxellodunum continued to be debated throughout the twentieth century, although it had clearly been decided by the work carried out in the field by Jean-Baptiste Cessac, a magistrate in Gourdon, then by scholars solicited in the 1860s by Napoleon III. On the initiative of Michel Vidal, then head of the Regional Department of Archeology of DRAC Midi-Pyrenees, Jean-Pierre Girault, indefatigable volunteer archaeologist, was convinced in 1997 to resume research on the site of the Loulié spring, identified in 1867 by J.-B. Cessac as the exact location of the battle. One of the first objectives was to save this site from looting, a site known to have yielded, since the nineteenth century, many pieces of Roman armament. Supported for more than 10 years by the regional office of cultural affairs, Mr. Girault first gathered all the existing documentation, combed through the sources in various archives dating from the Middle Ages and drew up a complete inventory of the discoveries reported since the 18th century. Surrounded by a team, he then resumed field research: topographical surveys, hydrogeological studies, surveys and excavations have allowed, over the annual campaigns, the drawing up,of a comprehensive report. Collating all the sources of information allowed the confirmation of an important battle towards the middle of the 1st century BC between Roman and Gallic troops present around the fountain: the Roman armament found since the 19th century there far exceeds in number that discovered on all other battle sites of the Gallic Wars (Alésia, Gergovie ...); the presence of tunnels and counter tunnels, in line with the fountain, confirms the program of drying up of the spring by the Roman troops described by the ancient text. There can now be no doubt; the scientific experts charged with following the work of Mr Girault, among whom were the leading specialists of Gaul, are unanimous behind the conclusions which he proposes: the Loulié spring is indeed the place of the siege of Uxellodunum described in the Cesarean text. Mr. Girault's presentation was followed by a lecture on the archeology of the Gallic Wars by Michel Reddé. Jean-Pierre Girault. Archeologist, recipient of the award.